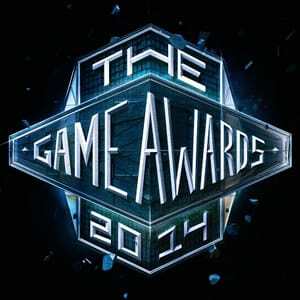 We're getting a new gaming awards show on 5 December, rather cunningly called The Game Awards. It's an evolution of the Spike TV Video Game Awards, and will take place in Las Vegas. Up for Game of the Year are Bayonetta 2, Dark Souls 2, Dragon Age: Inquisition, Middle-earth: Shadow of Mordor and Blizzard's free-to-play card battler, Hearthstone. Call of Duty: Advanced Warfare, Destiny, Far Cry 4, Titanfall and Wolfenstein: The New Order will duke it out to be crowned Best Shooter, while Alien: Isolation, Assassins Creed Unity and Sunset Overdrive will join GOTY contenders Bayonetta 2 and Shadow of Mordor in the battle for Best Action Adventure. It's not just about games that were released in 2014 either. Batman: Arkham Knight, Bloodborne, Evolve, The Witcher 3: Wild Hunt and Uncharted 4: A Thiefs End are all in contention for Most Anticipated Game. There are loads of other categories as well, including awards for the world's best e-sports players and teams, and one for the best fan-made gaming video online. On top of the awards, the event will see twelve major announcements and reveals for upcoming titles. Metal Gear Online is definitely one of them, and we'll also see really meaningful updates for already announced games such as Bloodborne and The Order: 1886. If you're a night owl, you'll be able to watch the event live at 2am on Friday, via Xbox Live, PSN, Twitch, YouTube and more.